Hope Studios: Feedback Friday - The Grand Tour? 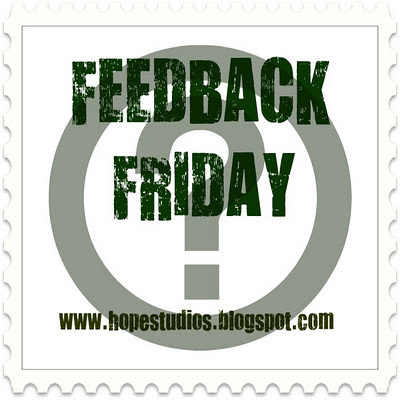 Feedback Friday - The Grand Tour? It's a holiday weekend and the time of year for visitors. I saw some etiquette questions I liked and thought this one was appropriate. When someone new visits your home, should you always give them a tour of your house? Unless you have a grand house that you want to show off, I don't think you need to. Really, all anyone needs to know is where to find the bathroom. Huh! No way! I always feel weired when people feel compelled to show me their whole house. Sometimes they are intimidated because their house is smaller, sometimes because it´s bigger then ours. Also, when they have a gigantic photo of their baby hanging over their bed, I feel akward seeing that. We have a huge lower level, and two upper levels, so I always check the lowest level is fit for visitors - and the rest is our privat zone. Nope, unless it's my Mom. Really who else cares? I may show off a specific room, if I've just something interesting. Never given anyone a 'grand tour'. When people come for a visit they only need to see the ground floor (it's pretty open plan and people usually end up in the kitchen or living room) and possibly the downstairs loo!